The cold weather appears to be approaching, as so far we have enjoyed a rather mild winter. With the colder temperatures comes the need to prepare your car undertaking minor checks and potentially ensuring that you are up-to-date with your car’s servicing. We have, over the course of the last year, posted some tips and advice on how to reduce the problems your car can experience during the winter months. Here we are having a re-cap to ensure you have all the information you need in one place. Back in October we posted an article which highlighted 7 useful tips on how to prepare your car for winter. Entitled “Is your car ready for winter?...7 safety tips” it listed areas such as: checking your battery, topping up your anti-freeze and having your car serviced. It would be worth having another read of this article ready for the coming cold weather. To determine which service is right for you, click on the link and it will take you to the page that details each level of car service. A little further back in the year, we looked at the details of fitting winter car tyres and the benefits they bring during wet, icy or snowy weather. Entitled “Winter tyres, do I need to get them?”we covered the information about costs and how they can benefit you. In addition to the car servicing and winter tyres advice, we also looked at how nano technology can assist the driver in wet weather by helping to keep your car’s windscreen clear of residual water. We wrote in the article entitled “Clear Windscreens…RainAway Nano Technology” all the details you need to know about the benefits of having RainAway applied to your car. It will be worth reading, especially if you are often driving on the dirty London roads. 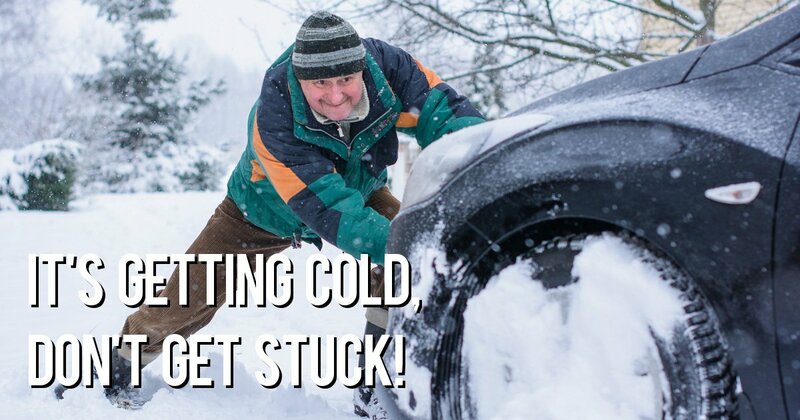 Finally, as part of our commitment to ensuring all our customers stay safe during the winter, we wrote an article that gave some very useful tips on how to drive in snow and ice and the types of winter pack that need to be carried in your car in case the weather conditions take a turn for the worse and you become stuck for a length of time. Again, this is a very useful article so it’s worth using this as a check list! We hope these article are useful for you and that you ensure your car or van is serviced and prepared ready for the cold weather. If you would like to book your car or van in for a service and our Garage in North London, or to change to winter tyres, we look forward to hearing from you.